This summer- I visited Max while he was working in Las Vegas for EDC! Wow! Amazing festival- huge ridiculous stages, elaborate artwork everywhere, wild and weird people and the best Dj from around the world made the lineup! EDC is put on by the same people as Tomorroworld in Belgium and is one of the top EDM/ DJ Music gatherings in the world, it is exclusive, pricey, tickets sell quickly and it is incredibly popular. Understandably so- the stages are built from the ground with artistic concepts to look like large animals- EDC’s main stage was a beautiful owl- or cities, or incredible nature scenes- like forests and mountains, volcanoes- really awesome! People go out there and dance really hard to the best DJs and most popular electronic hits! 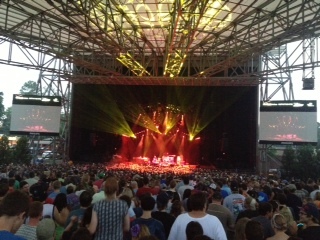 Finally, we most recently visited my family and saw Phish in Atlanta for a part of their summer tour. Yay!!! Made me so happy! Phish= 🙂 <3. Fall has started/is coming. It is October in 10 minutes 🙂 October is one of my favorite months- the weather is always pretty, there are lots of art festivals to vend and attend, the harvest is some of my favorite- pumpkin, apple, figs, root vegetables, sweet potatoes, cabbage . Most of all it feels like the beginning of the holidays! Posted in About Us, Music & Lifestyle, Writings and tagged apple, atlanta, August, Bellagio. Vegas, casino, dispatch, dj, EDC, EDC Vegas 2013, EDM, Electric Forest, Electric Forest 2013, holiday, las vegas, Lotus, Michigan, October, Phis, Phish 2013, press pass, Pretty Lights, pumpkin, Rothbury, SCI, Sensible Reason, String Chees, string cheese incident, summer, summertime. on September 1, 2013 by See Lizard Art & Photography. I decided after reading some other posts to make a list of things that make me happy. There are tons of lists out there that are suggestions and good ideas, but this a more personalized list for me that I wanted to share. .. What makes you happy? Scent of lavender, coconut, and good men’s cologne. Smell of pools, ocean, clean house. My boyfriend. 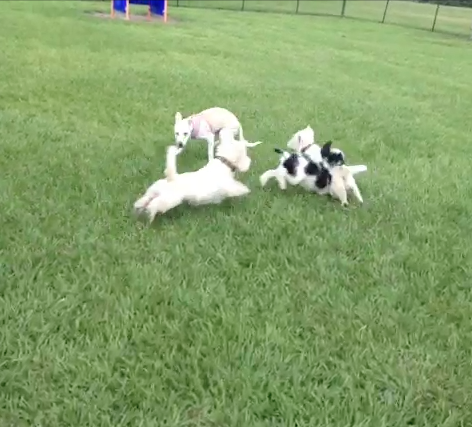 My dogs. When they smile at me. When they look cute. When we feel happy. Caring friends, too. Snuggling. Watching movies and snuggling. Hugs. Kisses. I love you’s. Taking a photograph that I feel like is a one in a million. Good food. Organics. Watermelon in season. Pumpkin. Fruit. Creamy food- cream cheese, blue cheese and bacon. Chocolate and pastries. Bed. Sleep. Naps. Nesting into my pillows and blankets. Freshly cleaned sheets in a made bed. Meditating. Art. Painting. Photography. Design. Animation. Museums. Galleries. Most of all when I’ve completed a project or finished a craft and it feels complete and good. Memories- memory boxes. Photos. Scrapbooks. Old kept notes and letters. Spas. Pedicures. Massages. Haircuts with divine conditioners and rinses. Facials. Relaxation. Passion. Love and life that always comes around to show you the world is full of beauty. Laughter and remembering things are funny. Finally, for today, getting things done! Finishing check lists that sort of thing. Posted in About Us, Writings and tagged 10 things that make you happy, art, bacon, blue cheese, chocolate, cream cheese, Dog, friends, fun, funny, happiness, happy, health, hug, kiss, laughter, light, Love, massage, memory, mental health, movie, Painting, pastries, pedicure, Photography, scrapbook, smells, snuggling, spa on August 28, 2013 by See Lizard Art & Photography. Two awesome bands are coming together for August 2013 to tour the Eastern border of the United States. STS9 and Umphrey’s McGee will unite for a short tour at the end of the 2013 summer. This is the two bands’ first tour together since 2008 and it will be one not to miss. STS9 is on fire! This band’s growth over the years has been an astronomical change in both jam music and electronic music. Umphrey’s McGee on the other hand is a jamband playing tunes comprised of rock, hard metal, electronic beats and regga which really bring the party to the house. The electronic dance music band STS9 formed in Atlanta over a decade ago. The instrumental electronic rock songs from STS9 were and are without a doubt some of the first to pioneer the jamtronica music scene. STS9 is known for being a socially conscious group, one of the top-grossing touring acts, averaging nearly 5,000 tickets per city, and for having a list of opening acts that have included major artists such as Snoop Dogg/Snoop Lion, Bassnectar, Ghostland Observatory, The Glitch Mob, Thievery Corporation, Pretty Lights, Big Boi and countless others. Similar to STS9 in their ability and fluidity to never put on the same show is the jam band Umphrey’s McGee. Every Umphrey’s show definitely brings on the rock. The band has played together for over 13 years and have enjoyable stage presence. Somewhere in between jam music, instrumental and rock music Umphrey’s McGee plays sets to make you dance! Umphrey’s has played the stage with a variety including Huey Lewis, guitarist Stanley Jordan, John Oates, and jazz saxophonist Joshua Redman, gospel legend Mavis Staples and Sinead O’Connor, to name a few. The two bands in one night will be a fantastic experience of music and fun. The show starts at 7:30 pm on August 24th at the Verizon Wireless Amphitheater at Encore Park in Alpharetta, Georgia, just outside of Atlanta. The amphitheater is set on 45 acres of landscaped woods; it seats 12,000 people between its roofed and lawn area. It is known for its distinguishable fan-shaped roof and was nominated by Pollstar Concert Industry Awards as 2009 “Best Major Outdoor Concert Venue”. The venue provides an enjoyable experience for all music fans (http://www.vzwamp.com) Ticket prices will range from $36.25 to $53.70, VIP tickets are also available! Posted in Music & Lifestyle, Writings and tagged 2013, atlanta, electronic, fun, jamband, Music, preview, rock, sts9, summer, umphrey's mcgee on August 18, 2013 by See Lizard Art & Photography. Early Summer 2013- EDC, Vegas, Electric Forest, Phish, Family & more! 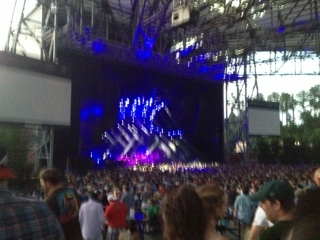 Finally, we most recently visited my family and saw Phish in Atlanta for a part of their summer tour. Yay!!! Meanwhile, we are finishing up our school! yay! Posted in About Us, Music & Lifestyle, Photography, Writings and tagged A-Trak, Alpharetta, Beats Antique, Benny Benassi, dispatch, EDC, Electric Forest, family, Lotus, Michigan, Phish, Pretty Lights, Rothbury, SCI, string cheese incident, twitter, Vegas, Verizon Wireless Amphitheater, Westies, Youtube on August 7, 2013 by See Lizard Art & Photography. Last Thursday, April 25 Sound Tribe Sector 9 played in the middle of downtown Orlando at the Beacham. This concert was awesome: the music was so loud the vibrations passed through your body. The local Orlando crowd was all-out dancing late into the night and roaring for more. It was so good to see and hear Tribe again! Sound Tribe is an instrumental electronic band whose sound is heavily based in rock and derived from the eclectic individual styles of each band member. The music is psychedelic and transcendental, incorporating instruments such as drums and guitar to create a moving sound that inherently gets people dancing and having a great time. Sound Tribe was at the front end of the Jamtronica, dub-influenced jam music movement, forming in the late ‘90s in Atlanta, Georgia. Their shows will play late if they can as we have seen at music festivals in the past. The April 25 Orlando concert was awesome! With a combination of old and newer tunes from the band they played an upbeat show. Up close to the stage the crowd is dancing shoulder-to-shoulder trying to get a closer look. The speakers of the Beacham were rattling on the floor. Towards the back of the room the bars were packed and concertgoers dance around the floor. In the balconies people watched the show from above and hung over the rails dancing to the beats and swinging their arms over their heads.The April 25 Orlando concert featured a combination of old and new tunes from the band and they played an upbeat show. Up close to the stage the crowd was dancing shoulder-to-shoulder trying to get a closer look. The speakers of the Beacham were rattling on the floor. Towards the back of the room the bars were packed and concertgoers danced around the floor. On the balconies people watched the show from above. Rent. Sound Tribe’s music is so good because it has a steady bass beat that the electronic sounds and guitar wind around. Their songs have grooving beats and dramatic ups and downs. The music of Sound Tribe makes me feel ignited and happy. Sound Tribe’s song, “Rent,” was a big hit: it is really chill but also a great dance tune that keeps you moving. The song plays through and then comes back and hits you with a deeper, heavier bass version of the tune. The tunes make me want to enjoy myself, dance, observe my surroundings happily as the crowd moves up and down. Although the crowd is loud and raging, it is quite relaxing and uplifting when you get into the groove of an STS9 show. The crowd cheered for more as the band left the stage– in fact we cheered so much we got a double encore show- 1 Encore with “This, Us” and “Scheme” and then second encore with “Grow”– amazing! I wanted more Sound Tribe! The Beach am Theatre is a larger concert/club venue for downtown Orlando with a 1250 capacity. The Theatre has disco balls on the ceiling that reflect lights during the show, creating a space in the room that felt like stars. It is really beautiful how the lights play in the room. I enjoyed the shifting off colors across from left to right then right to left in different colors– it was like watching a rainbow move across the sky. Sound Tribe uses a lot of colorful lighting shining on to the stage and in the crowd, creating this captivating effect. If you missed Sound Tribe in Florida, you’re in luck: starting in a month, will begin touring music festivals including Summer Camp, Wakarusa, Jambase Live, Camp Bisco and All Good. They will also do several shows with Umphrey’s McGee at the end of the summer throughout the eastern United State-s- so excited to see the two together! The final shows of this tour will be held at Red Rocks in Colorado in September. Posted in Music & Lifestyle, Photography, Writings and tagged Orlando summer tour 2013, See Lizard Art & Photography, Sensible Reason, Sound Tribe, SR, sts9, The Beacham on May 5, 2013 by See Lizard Art & Photography. Holi – the Festival of Colors! 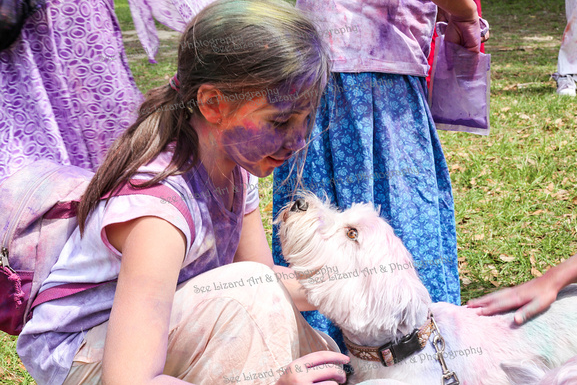 We recently celebrated the Indian/Hindu holiday Holi in Gainesville. We have a friend from Dubai who took us with him while he played with his cousins band. The celebration was a lot of fun. The holiday celebrates the awakening of spring in late February or early March. In Indian, and maybe parts of the globe, Holi festival has ancient origins. Traditionally explanation of the holiday celebrates the triumph of ‘good’ over ‘bad’ and renewal of sweet relationships. The colorful festival also bridges social gaps- and it is true when everyone is covreed in bright colors you just see how bright and colorful it looks and not so much what features the person has, their shape or their origin. The festival we attended was held at Alachua Hare Krishna Temple. It was a pretty farm with temple, school and amazing gardens growing huge fresh vegetables. We learned a little about hare Krishna- they practice monotheism to their god Krishna, which is in some ways another name for the Hindu god Vishnu, who, “removes illusion”, and allows people to believe in the love of god and the natural transcendental existence of things. Hare Krishna was brought to the United States by Swami Prabhupada in the 1960’s. We see influences of Hare Krishna in modern culture including the songs by the Beatles and references from the late Steve Jobs of Apple. Some Vaishnava literature is also well known/growing in recognition such as the Bhagavad Gita. However, I diverge from the other weekends events- Holi festival- The Festival of Colors is celebrated by people throwing organic colored powders on each other and exclaiming, “Happy Holi!” The festival has music, dance and food. The experience was a family event- all ages and kinds. The festival was not about who was there but about the right attitude- it was a celebration of life and happiness. The Hindu/Krishna community there was very friendly and welcoming. The music was a lot of fun and the food was good. The best part was all the color everywhere! During the festival there were hourly color throwing when everyone would you gather and throw their colored powders into the air above the crowd! The bright colored clouds in the air looked awesome and everyone was shouting, laughing, hugging anyone and smiling to everyone. Millions of people celebrate this color festival all over the world. It is without doubt the liveliest event in India and is now becoming popular all over the US! This was another exciting, lively, fun filled event. The attendees were passionate, inviting and the atmosphere filled with all around Good Vibes! Make sure to check out some of the videos on my website- the crowd had so much fun! Posted in About Us, Music & Lifestyle, Photography, Writings and tagged Adam Ahuja, Alachua Hare Krishna Temple, Ayurveda Health Retreat, Bhagavad Gita, chanting, color powder, dance, festival, fun, Gainesville, happy Holi, Hare Krishna, Hindu, Holi, India, Kirtan, Krishna, Krishna Rose, Music, national geographic, Naveen K, spring, Srikalogy, the festival of colors, traditional india, Vishnu, Visvambhar Das on April 21, 2013 by See Lizard Art & Photography. Your bio says that you were self taught. How and when did you start taking images? What inspired you to start and continue with photography? I was living in Lake Tahoe, the year was 1985. I was working in a high pressure sales environment and needed an outlet for exercise and enjoyment. At that time my wife had acquired a small manual camera and I had just learned the bare basics of photography. I started hiking around the shoreline of Tahoe composing the beautiful crystal clear blue waters with boughs of Ponderosa pine branches framing the foreground. As I showed my fledgling 35MM transparencies to people they were very complimentary exclaiming, “You have a good eye!” At the time I wasn’t exactly sure what that meant but it motivated me to continue shooting. Your biography on your website you state, ”[T]he artistic character is forged from the dual fires of struggle and persistence.” What is the greatest struggle you have encountered as an artist? What has kept you persistent? I think struggle and persistence pertain to just about any field of endeavor if one is to be highly successful. In my case, as with a lot of photographers, the struggle usually comes in the form of an un-cooperative mother nature. The perfect image needs the perfect light and in so many cases the promise of an incredible sunset, for example, where the land becomes bathed in soft, warm, shades of magenta and crimson. There have been any number of times where I’ve hiked for miles to an iconic location and the sky goes grey – void of any color or character. That’s where the persistence comes in – I’ll hike those same miles again the next day and the next day until that image is captured how I imagined it. Another example of persistence is the case of one of my images called “Route De Vin” in the Alsace region of France. Through the course of four European trips I would make a pilgrimage to this quaint little village to capture it’s splendor. Narrow cobble stone streets lined with six and seven hundred year old homes with the typical “split beam” style architecture, flowers dripping from every window box. Each year it was one thing or another that eluded that perfect capture. Through struggle and persistence, I finally had what I felt was the essence of that historic village nestled within the Route De Vin. Your mastery of light and color shows in your images. What is in your head when you are taking that perfect image? It would be more accurate to say what isn’t in my head when I’m taking that perfect shot. It’s important to clear your head of any distracting thoughts and preoccupations and become part of the landscape its self, to be an intuitive observer within the visual composition. What would be your best advice for someone interested in becoming a world traveling photographer? First and foremost, secure a passport. Second – decide which countries interest you and after that, I think each person’s journey is unique. Most of all, follow your passion because that is where creativity lies. Do you prefer shooting digital or film? What types of camera do you prefer to use? Obviously digital. With today’s advanced technology, digital cameras have a superior ability to capture images that have a much wider color gamut and fine detail. Do you do any digital editing to your images? Digital editing has different meanings to different people. There’s digital editing and then there’s digital manipulation. In my case digital editing is generally limited to a prescribed amount of levels and curves in pre-flight before the file is sent to a photographic printer. Some photographic artists choose to do more extensive work to their images perhaps in the form of radical color shifting, removing unwanted features within the image, etc. Don’t get me wrong, I’m not disparaging that type of work because any artist who creates an art form from within the digital palette is an artist. Tell our readers more about your printing and mounting EuroFlex process. How did you first get involved in this process? The Euroflex Encapsulation System was actually born from the casino industry, more specifically slot machine manufacturers. I was visiting a friend one day in a graphics production facility. He was in the process of mounting a graphic on a piece of glass to be installed in a slot machine, which would be back lit from within the machine. I asked my friend if this could be done with a photograph to be front lit, not back lit. He replied – ‘Yeah, absolutely.’ So I gave him a photo, he proceeded to mount the photo as he did for the slot machine graphic and voila, the process was born. As I evaluated the finished product, it struck me that the fragility of glass would be problematic within the context of my particular application. So my friend said – ‘What about acrylic?’ We processed another photo, this time mounting it to acrylic the rest is history. Does the EuroFlex process make the images more saturated? Does this process give that “painting” feel of some of your images? Short answer is ‘No.’ The saturation or painterly quality of my images is the result of a number of critical factors, all of which have to come together for that magic moment – the time of day I’m shooting, the weather, the subject matter within the shot, etc. Basically – that’s my goal as an artist to capture beauty and share it with the world. What is the substrate in the EuroFlex process made of? Does this process hold light in any special manner? The substrate is a highly specialized photographic material that has a reflective quality and does not necessarily hold light in any special manner. What can we expect in the future of William Carr? What new lines of work might we look forward to seeing? I’m always searching for new opportunities to bring to light images which evoke an emotional response from the viewer. Carr is openly artistic, sharing his point of view on issues and reflecting on his experiences. Someone with a different approach on life probably could not catch those split second images or come up with alternative printing processes like the Euroflex as William Carr does. Maybe that is the modern role of the photographer: the technical optimist, someone who holds onto the ideals of invention that turned photography into artwork and who feels passion for what he does. In the modern world, sometimes people are tempted to say, “Everything has already been done.” Then we get someone like Carr, with desire and inspiration, who introduces us to something new and ignites inspiration. Carr’s amazing and beautiful works take you on a flight through natural landscapes and speak for the natural beauty in the world. Sensible Reason is so thankful for having the time to talk with him and we look forward to seeing more from him! Posted in Arts & Crafts, Photography, Writings and tagged beautiful, kristen grennan, las vegas, lauren seaman, master of photography, photographer, Sensible Reason, william carr on April 8, 2013 by See Lizard Art & Photography. Orlando, Florida is a dream vacation for some of us it offers Amusement Parks, entertainment, shopping, resorts, and more. Orlando is a fun packed city built for the vacationer. The main attractions to Orlando are theme parks. Started by Walt Disney in the 1960’s the Walt Disney resort includes 4 theme parks, two water parks, 23 themed resort hotels on-site, camping, spas and golfing. Walt Disney World theme parks include Magic Kingdom, Disney’s Animal Kingdom, Epcot and Disney’s Hollywood Studios. Disney water parks include Disney’s Blizzard Beach and Disney’s Typhoon Lagoon. The newest addition is Legoland a park with rides and life-sized Lego sculptures aimed towards families with 2-12 year olds. Downtown Disney has free entrance; there are clubs, bars, unique restaurants, galleries, and shopping. Watch one of the shows including Cirque du Soleil’s La Nouba and House of Blues venue. SeaWorld Orlando offers shows that interest all ages featuring the animals of the oceans including the famous Orca whale Shamu. A ticket to SeaWorld will provide access to Busch Gardens Tampa Bay just few hours away. Sea World has roller coaster rides and water rides. Discovery Cove and Aquatica are Seaworld’s water parks even offering swimming with dolphins. Universal Studios Orlando has rollercoasters, 3-D and 4-D rides, and Universal’s Islands of Adventures with rollercoasters, water rides and the new Wizarding World of Harry Potter, all ages will find entertainment here. City Walk links the two parks with restaurants, bars, games, entertainment- including Blue Man Group, Hard Rock Café Live and Jimmy Buffett’s Margaritaville. City Walk has a great nightlife. Universal Studios also offers a themed resort area with several themed hotels. CoCo Key Hotel and Water Resort is one of the resorts with Universal and is also a water park. There are 100’s of hotels in the resort areas around Disney World and Universal Studios. The main road between the two resort areas is International Drive offering hotels, outlet shopping, cinemas, mini golf, iFly Orlando- simulated skydiving, Fun Spot America, a pay by ride park, Ripley’s Believe It or Not, WonderWorks interactive museum, festive dining, dinner shows and nightlife. Dining on I-Drive includes Dinner Shows such as Medieval Times. More dinner shows in the resort areas include Arabian Nights. When you need to cool down from the heat I-Drive offers its own water park called Wet’n Wild with great rides including the Disco H20. More popular attractions in Orlando include Gatorland, several ziplining courses, Brevard Zoo and Harry P Leu Botanical Gardens. Downtown Orlando offers pleasant walking at Lake Eola, restaurants, bars, cigar shops and galleries. Downtown’s nightlife scene offers a variety of clubs and venues. If art galleries and fine dining is your interest take a trip to the posh area of Park Avenue in Winter Park including a visit to the Morse gallery. Cocoa, New Smyrna and Daytona beaches are an hour away and Tampa is two hours. No matter what your interests Orlando provides a magical experience for all ages and families. Resorts are great options to stay at while travelling. Whether your vacation is business, family or romantic resorts offer amenities, activities, dining and much more to make a complete getaway. Resorts often provide enough entertainment for a vacation that you may not want to leave the premises. There are many wonderful large name chain resorts and local resorts all over the country especially in popular skiing and beach areas. Resorts offer rooms in the main hotel building and condos or villas as separate structures. Some resorts have a range of basic hotel rooms, private suites, condominiums and executive suites. Accommodations range from single room suites to three, four bedroom suites with a variety of bedding options. Bedding options can range from all double beds to several queen and king beds. Often resorts will show their various floor plans on their websites. Accommodations in resorts usually make a sort of private-like premises for the guests that make it its own vacation. The accommodations will also vary based upon the location and areas activities of your trip. Most resorts are decorated with sleek, luxurious modern décor. Every resort is different. Beach resorts offer balconies to sit on and enjoy the ocean view. City resorts offer full-length windows to show off the skyline. Many resorts offer casinos, club, bar and dancing, several pools, waterparks, and on beach water activities. Many resorts have a variety of amenities including daily newspaper, room service from their bars and restaurants, Wi-Fi, in-room stocked refrigerators, to and from shuttle airports, TV’s, kitchen areas, business rooms, spas, new work out rooms and great pools. Resorts offer dining options from swanky bars, casual dining, fine-dining restaurants and poolside cafes. Some resorts offer transportation and tickets to surrounding attractions. Some resorts, like the Inn of the Mountain Gods in New Mexico have rooms and suites; as well as, casino, club, bars, dining, fishing, hiking, winter time skiing, horseback riding, shopping, a lake and pool. Like many resorts, Inn of the Mountain Gods offers incentives for vacationers to stay there including a Golf Getaway deal, and several transportation offers. Disney resorts offer great stay and activity packages in all budgets. Destination Hotels &amp; Resorts offer the finest luxury accommodations. Today eco-resorts are growing in popularity. Eco-resorts provide vacations with a lighter footprint. Some eco-resorts are environmentally minded buildings and some are electric powered platform camping; every eco-resort has its own personality. The best American eco-resorts include The Lodge at Sun Ranch, Love Lava Land, Oil Rig Platform Resort and Spa, Inn By the Sea and The Gaia Napa Valley Hotel. Posted in Writings and tagged Dinsey, harry potter, Orlando, tourism, Universal Studios on December 11, 2012 by See Lizard Art & Photography. On the 15th of November Keller Williams will play again at The Social in downtown Orlando. Keller has played the Social in the past years for an intimate crowd that really enjoys his shows. The Social is a small venue with full bar and waist high stage that will give Concert goers an up-close experience at the show. For a night of jamming, uplifting music experience get your tickets for the Keller show coming soon to Orlando! Keller Williams is a unique one-man band with quirky lyrics and mastery of guitar playing, what he himself calls, “solo acoustic dance music.” Williams exudes a super mellow energy, even when his songs are upbeat and fast. Using several different instruments Keller loops and samples tunes, rhythms and beats to make complex, colorful songs. The songs he creates before the audience sends them into cheers as the night goes by. Keller says he created his music style from being on stage with one mic and one guitar and learning how to intensify his music and make it more dance-like. Additionally to the funky, groove beats, Keller’s songs are not without good humor and jokes, not unlike himself. Posted in Music & Lifestyle, Writings, Aside format and tagged jam, keller williams, Music, november 2012, Orlando, the social on October 19, 2012 by See Lizard Art & Photography.